16075 Briarwood Lane, Abingdon, VA 24210 (MLS #64514) :: Highlands Realty, Inc.
Well maintained custom built home in highly desirable Worthington Place. A must see only minutes from downtown Abingdon. 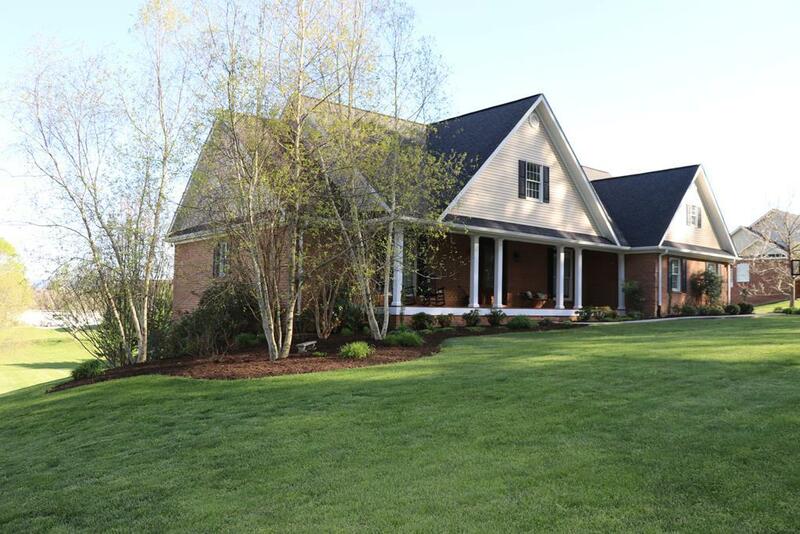 This home sits perfectly on almost an acre of land with great curb-appeal. Open and airy feel in this gorgeous home built for entertaining. Foyer opens to the kitchen, living room and dining room. The family chef will love the gourmet kitchen with beautiful custom cabinetry, pantry, granite countertops, and stainless appliances including a double oven. Retreat and relax in your spacious master suite with a master bath, walk in closet, custom built-ins and a separate entrance to the screened-in sunroom leading out to the huge deck. Basement features a large workout room or game room, cozy den with an office or separate bedroom if needed, full bath and two massive unfinished rooms for abundance storage space. Check this one out today!! CONTINUE TO SHOW! Contingent upon financing, home inspection and appraisal.